If you are planning to add a wedding arch or arbor rental to your wedding budget, you have come to the right place. An arbor or arch is an easy way to personalize your outdoor wedding ceremony. It helps define the open space more than anything else. 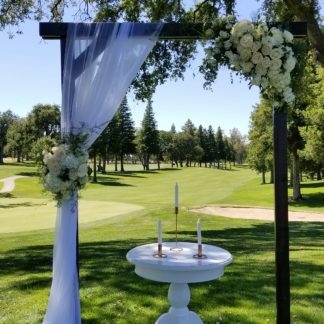 An attractive arch or arbor will help set the stage for a memorable event that you and your guests will remember for a long time to come. An arch adorned with vibrant greenery and showy flowers creates an attractive backdrop for you and your partner to exchange your vows. Wedding arches and arbors come in different shapes, styles, sizes, and prices. You should choose the right package to suit your needs and wedding budget. A reputable arch rental will have the right package that will suit your expectations. 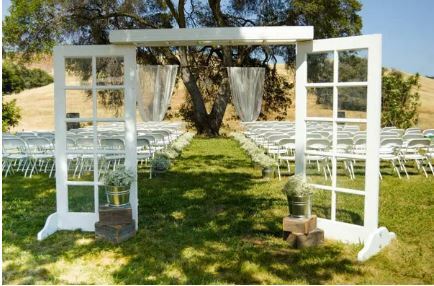 This article provides information on the different types of party & wedding arbor & arch rentals on the market. 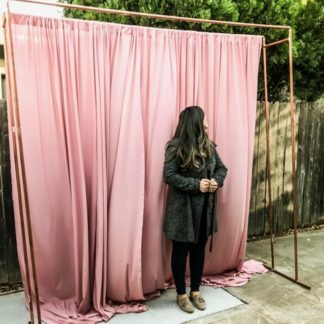 Wedding backdrop rentals are becoming popular with many couples these days. An arch or arbor is an eye-catching and symbolic piece of wedding decoration that will enhance the backdrop of your event. They are considered a terrific addition to most weddings and parties in this day and age. That’s why you should choose the right party and wedding arch and arbor rental in the area for your wedding. First, you need to understand the symbolic meaning of a wedding arch or arbor. It gives symbolic protection to the couple. In fact, when a couple gets married under an arbor or arch, it’s a symbolic start to their new life together. It symbolizes the protection of the home. The bride and groom promise to share together to the family they plan to start with each other. An arch or arbor symbolizes a lot of things that a wedding is all about. That’s why you should consider adding one to your wedding ceremony. 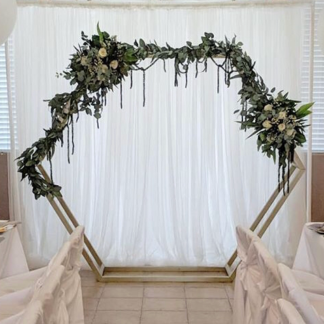 A wedding arch or arbor helps enhance the visual appeal of the ceremony. They add a visual centerpiece to the wedding ceremony. Wedding photos with an arch or arbor look more complete than one without an arch or arbor. 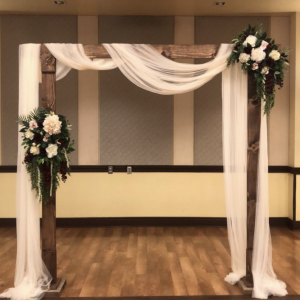 Whether you plan to add an arch or arbor to your event because you appreciate the symbolic meaning of it or you like the visual appeal of it or a mix of both – you should opt for a reliable wedding arch and arbor rental company in the area. The right rental should provide different styles of wedding arch hires. You may prefer an arch with decorated flowers, greenery, fabric or whatever style. A reliable arch rental should be able to your specific wedding arch or arbor requirements. With so many wedding backdrop rentals on the market, choosing the right company isn’t easy. Your research is very important in this regard. 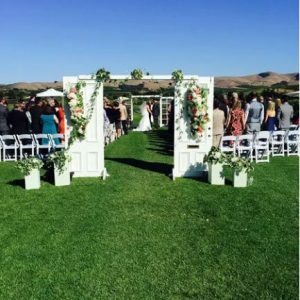 You can easily find a reputable wedding arch rental by searching Google or any other search engine. Wedding arches and arbors come in different styles, shapes, and sizes. 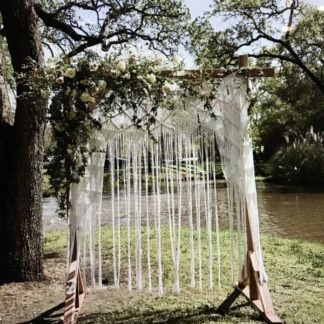 Here are some of the most popular wedding arches and arbors on the market today. A wedding arch or arbor begins as a basic wooden structure. An arch is always round in shape but an arbor can come in different shapes. The wooden frame is decorated with flowers, fabric, greenery, shells, and bamboo. Wedding planners and florists are the best professionals to decorate wedding arches and arbors with flowers and other materials. If you opt for an arch with flowers, make sure the flowers in the arch match the flowers in your bouquet. Incorporating different shapes other than the traditional wooden frame is becoming a popular trend in this day and age. Wedding arches and arbors have evolved from plain wooden frames to works of art today. There isn’t a limit to what you can design when creating a wedding arch or arbor. It’s only limited by the creativity of the person who creates it. Here are some of the most popular modern wedding arch ideas for your big day. 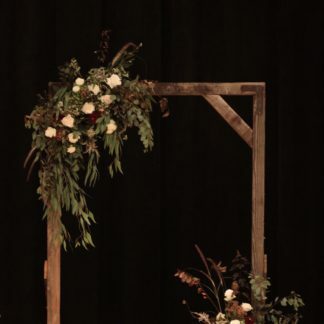 The Sweetheart arch is created by dressing up a plain wooden structure with flowers and greenery. The colors of the flowers should contrast the vibrant greenery of the arch. Make sure to place geometric accents around the wooden structure to give a modern touch to the backdrop. This is a popular type of wedding arch used in most of the modern wedding ceremonies. This is ideal for an intimate beach wedding. 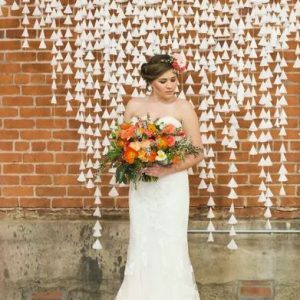 Use seashells to create a unique backdrop for your wedding. The frame of the arch is created using non-traditional materials such as bamboo. Make use of greenery, fabric draping, and subtle flowers to enhance the attractiveness of the backdrop. Big flowers are placed on the structure of the arch to create an attractive focal point. Don’t forget to mix up the texture of the flowers to give the structure an added detail. Vary the greenery when filling the empty spots of the structure. Locate the arch or arbor next to a concrete pillar or similar architectural element to enhance its appearance. This type of arch is quite popular with many couples in this day and age. You can use old furniture and architecture to create a unique structure for this arch. Sprinkle flower petals on the floor to create a handmade stage. This type of arch needs to be placed in a scenic area to enhance the backdrop of your wedding. Make sure to use flowers and greenery quite sparingly since you want to highlight the creative frame. You should position beautiful typography around the frame of this arch. Mix the foliage and florals to get an unexpected color for the structure. 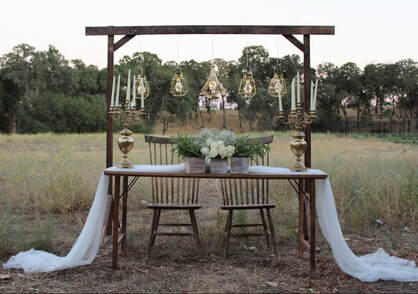 Display candles along the walkway and around the frame of the arch to set the mood for the event. This is another popular type of wedding arch out there. 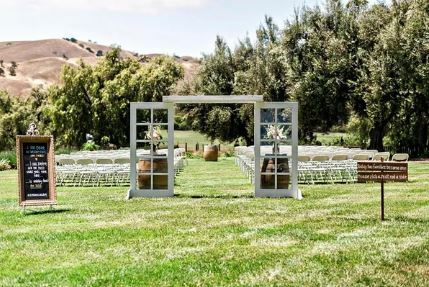 Wedding arches and arbors are becoming popular these days. The aforementioned article provides information on different types of party and wedding arbor and arch rentals.